Fixing a blown head gasket can be a huge job. It’s such a big job that often times it can be cost prohibitive either from a budget standpoint, or because the vehicle isn’t worth as much as the repair job costs. A blown head gasket is also the kind of problem that if you continue driving with it can end up causing more damage raising the repair bills. The head gasket in your vehicle is the gasket in between the 2 largest pieces of your motor, the cylinder head, and the engine block. The engine block contains the crankshaft and pistons and the cylinder head contains the valve train. When these two pieces are bolted together, they form the combustion chamber above the piston. 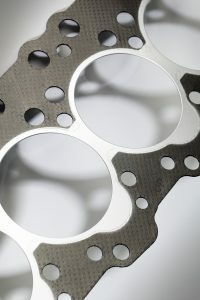 There are also oil and coolant passages that travel between the cylinder head and engine block through the head gasket. The head gasket is responsible for sealing all of these cooling and oil passages as well as the combustion chamber make sure oil stays in the lubrication system, water stays in the cooling system, and combustion gases stay in the cylinder above the piston. A blown head gasket is simply a head gasket that has started allowing one or more of these fluids or gases into a space they shouldn’t be. The combustion chamber is where the temperature gradients are the most extreme and the pressures are the highest so more often than not, this is where a leak will form. You’ll notice you have a blown head gasket in your vehicle due to the consequences of coolant, oil, or combustion gases being in the wrong place. You may see bubbles in your radiator or coolant reservoir as combustion gases are leaking into your cooling system. You may also notice white smoke from your tailpipe as coolant leaks into your combustion chamber and is burned. Lastly, you may find white milky substance in your oil as coolant leaks into your oiling system. If you notice any of these symptoms or otherwise suspect you have a blown head gasket, you can check for sure using a few different methods. First, some auto parts stores sell test kids that can chemically check for combustion gases in your engine coolant which would confirm you have a blown head gasket. You can also try checking the compression in the cylinders in your car. If you find one cylinder with very low compression it could indicate you have a head gasket leak into that cylinder, but it may also indicate you have bad piston rings in that cylinder. Lastly, if you have all the symptoms listed above at the same time, it’s a pretty safe bet you have a blown head gasket. 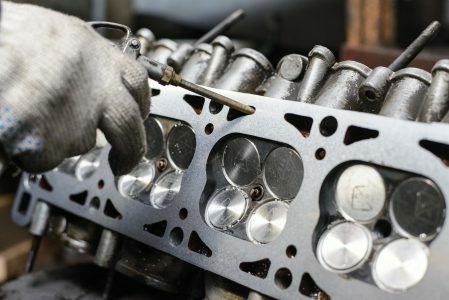 Replacing a blown head gasket is such a hard job because you have to separate the cylinder head from the engine block. This step in itself does not take very long, but to get there, it requires the removal of a lot of other components. You have to remove things like the intake and exhaust manifold, the alternator and power steering pump, any wiring going to or across the cylinder head, fuel lines and sometimes the time belt or chain. Also, if you don’t reinstall everything perfectly, you can quickly cause catastrophic damage to your engine. The good news is there is a way to fix your blown head gasket without all the work and without even removing the old gasket! BlueDevil Pour-N-Go Head Gasket Sealer can seal the leak in your head gasket quickly and easily without removing your old head Gasket. BlueDevil Pour-N-Go Head Gasket Sealer is a chemical sealing agent that will form a chemical weld at the leak keeping your coolant and combustion chamber separate. For more information about BlueDevil Pour-N-Go Head Gasket Sealer, visit our product information page by clicking on the banner below! Thank you for asking about your Mazda Millena. You may use either Head Gasket Sealer. The “Pour N Go” (16 oz./white label) is a less concentrated formula that does not require the removal of the thermostat or a flush of the cooling system prior to use. Whereas the “Mechanic Approved” (32 oz./yellow label) requires both the removal of thermostat and a flush before applying the product; the 32 ounce is the more concentrated formula. The product with the yellow label will give you best overall results as long as you can remove the thermostat and flush the system and fill it with water prior to use. However, if the thermostat is difficult to remove or you would rather not then you can always go with the “Pour N Go”. What if your engine won’t start but will turn over? The vehicle must be able to start and run for a consistent 50 minute idle in order for BlueDevil Head Gasket Sealer to have a chance at working as it is intended. How cold should the engine be?Does the engine need to be the same as the air temp? Form the last time the engine was run you should wait at least 2 hours for it to cool down. In terms of using the BlueDevil Head Gasket Sealer, we recommend at least 2 hours of a cool down from when the vehicle was last run. That would be cold enough to start the process. Feel free to contact our technical support line at 888-863-0426 with any other questions. Please contact us at 888-863-0426 so that we may discuss your Cadillac and the best way to apply BlueDevil Head Gasket Sealer. But the oil and antifreeze is mixing , will the Blue Devil pour n go fix my problem ?? Thank you for asking about your Cadillac Deville DHS. Based on your description, we recommend using the BlueDevil Head Gasket Sealer (http://store.gobdp.com/head-gasket-sealer-38386/). The BlueDevil Pour-N-Go Head Gasket Sealer is intended for use in 4 or 6 cylinder engines, which your Northstar engine is a V-8. Feel free to contact our technical support line at 888-863-0426 with any other questions. Thank you for asking about your Pontiac Grand Prix. We recommend using BlueDevil Head Gasket Sealer (http://store.gobdp.com/head-gasket-sealer-38386/). It sounds like the vehicle is getting combustion/exhaust gases blowing into the cooling system and creating pressure. To give yourself the best overall chance of BlueDevil working successfully, in addition to the directions, you should remove the spark plug from the cylinder with the leak; this will be the spark plug from the cylinder with the low compression reading. If you are not sure which one that is, you may pull all of the spark plugs and will notice one will have a white-crystal-like substance on it and/or may look dirty; this is the plug you should pull. Leave that plug out for the 50 minute idle in order to relieve the pressure from building up and thus allowing the product to seal properly. Be sure to follow the guidelines for the proper amount to use based on the size of your cooling system. Thank you for asking about your Dodge Ram. It is possible that you are getting combustion/exhaust gases pumping back into the cooling system. You can use a “Block Dye Tester” to confirm whether or not that is the case. My Ford Escape 2008 was overheated two weeks ago. The investment need it to repair the truck was to high. A mechanic talk to me about products that could help with my problem. I made a research through the web and analyse my options. I found Bluedevil and read about it. Also, check YouTube to look what others have done in my situation and follow there example. Bluedevil deliever there promise and help in my situation. Has past two weeks and the truck have no engine problems so far. I can believe yet this really works. Thanks Bluedevil. We are happy to hear of the success you have had with the BlueDevil Head Gasket Sealer. Once the product seals, it creates a permanent seal, so you should be good to go at this point. I have a Nissan Titan 2008 when I started the engine I got white smoke from the exhaust. But I’m not sure if I have a damaged head gasket. What do you recommend me to do? Thank you for asking about your Nissan Titan. Is the vehicle overheating at all? Are you noticing a loss of water/coolant? Please contact our technical support line at 888-863-0426 so that we can get a better understanding of the vehicle’s condition and be able to make any appropriate recommendations. Is the smoke coming out of the exhaust consistently or just on start up? 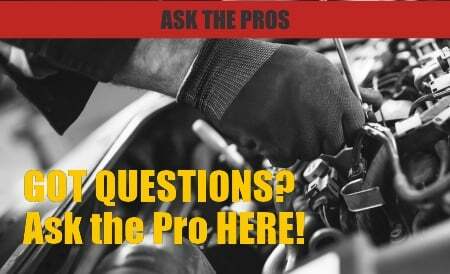 You may want to bring the vehicle to a certified ASE mechanic for a proper diagnosis. Have you noticed any loss of coolant or symptoms outside of the smoking? Please contact our tech support team at 888-863-0426 so that we may discuss your vehicle and make the proper recommendations. I’m Riding On a Polo 6 , The Car Started Overheated about 5Months Back , And I Realised The Water Pump Was Leaking, So I Replaced The Water Pump and the Leaking Stopped But The Car Still Overheats .. Oil Deep Stick Always Comes Out With a Milky Coffee Like Colour .. so From All The Symptoms I’ve Discovered I Suspect That It Has Blown a Head Gasket .. I’ve already tried to remove The Thermostat But Still , And There is a Terrible Sound Knocking When I Start The Engine .. it does Idle , but It Doesn’t Last About 50min Idling Without Overheating , and whenever I Pour Water , It Disappears but I Think its probably the drops and steam that come out of The Exhaust hence It has no visible Leaks Anywhere Else .. the Oil has changed Colour Thus the deep stick Always Comes out with a Milky coffee thick Oil, so there are chances that there is a combination of oil and water along The circulation .. I really need your Help on What step must I take .. can any of these product rescue my car from Dying or any of your technician Assist me or getting it perfectly repaired ? Thank you for asking about your Polo 6. 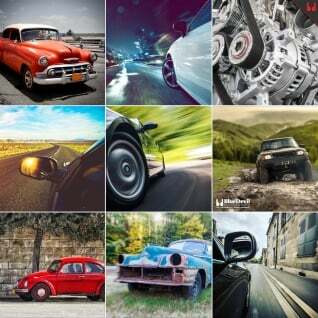 Based on your description, you are most definitely dealing with the symptoms of a blown head gasket. The knocking sound in the engine you are hearing is more than likely a sign of water being in the oil and making its way to your engine bearings. Unfortunately, it sounds like you may be losing water a little too quickly for the BlueDevil Head Gasket Sealer to be affective. If the vehicle is unable to idle 50 minutes without overheating and you are losing more than about a quart of water in that 50 minutes, then the leak you have would be a little too extreme for the product. A hard part repair may be your best option. I have a Dodge Grand Caravan and blown head. I used the blue devil treatment and coolant. Will the blue devil work? Or do I need another treatment? Thank you for asking about your Dodge Grand Caravan. Please contact our technical support line at 888-863-0426 so that we can get a better understanding of the vehicle’s condition and be able to make any appropriate recommendations. Hi. I have a 2008 Chevy HHR that started overheating Wednesday. I put water in it and it was good overnight. THursday, it started overheating again and my mechanic checked it out… The heater hose was busted. He fixed that. Found a radiator issue… But then he said the gasket is blown and he JUST put this engine in my car back in May… Will this product possibly help fix my issue? Or is it too late? Thank you for asking about your Chevy HHR. As long as the vehicle will maintain idle for a full 50 minutes, without overheating or stalling out, and you are not losing more than about a quart of water/coolant during that 50 minutes, you would be a great candidate for the BlueDevil Head Gasket Sealer (http://store.gobdp.com/head-gasket-sealer-38386/). Feel free to contact our technical support line at 888-863-0426 with any other questions. I have a 2006 Sukuzi Forenza and was told the head gasket was blown. How much would it generally cost to fix at a shop? Thank you for asking about your Suzuki Forenza. Depending on your location, head gasket replacement could cost anywhere from $1,000 – $1,500. Depending on the severity of your symptoms or water/coolant leak, you may be a candidate for the BlueDevil Head Gasket Sealer. Please contact our technical support line at 888-863-0426 so that we can get a better understanding of the vehicle’s condition and be able to make any appropriate recommendations.